The vintage basketball rookie card market will never approach the values and reverence seen in baseball. Furthermore, many of the top cards from the earliest decades of basketball can be found for very cheap, as seen here. But at the very top of the vintage basketball rookie card world, ten rookie cards sit high above the rest. Professional basketball was still in its infancy when the first major product was released in 1948. As the game grew, so did the market for basketball cards, but at a much slower pace. From the 1940s through the 1960s, basketball collectors were only treated to one main release per decade. Topps changed all that with their 1969-70 offering, and ushered in a new era of basketball collecting, complete with regular releases and an ever-evolving design. Vintage can be seen as a relative term, because in 50 years even current cards can be easily viewed as vintage. For the purposes of this article we are defining vintage basketball cards as being from the 1940s, 1950s, 1960s and 1970s. Given the lack of options in most decades, a few products contribute multiple cards. Value is the main criteria for the ranking and the specific prices referenced deal with mostly raw and low grades, as high grades and extremely damaged cards can result in huge fluctuations in value. Most of the vintage basketball cards on this list go for $500+ in a high grade and many push well into the the thousands. However, if you are patient, several of these elite cards can be found raw for less than $100. Click on the listings or images to shop for specific cards on eBay. 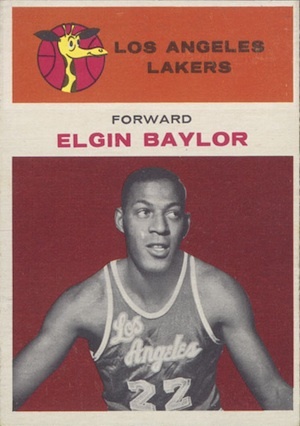 Generally regarded as the best player without an NBA title, Elgin Baylor accomplished everything else you would expect from a Hall of Fame player. His rookie card is found in the colorful 1961-62 Fleer release. Despite his relevance to the game, Baylor's rookie ranks just fourth in the eyes of collectors based on the stacked 1961-62 checklist, and raw versions can be found for as little as $50-60. "Dr. J" was a surgeon on the court and remains one of the most exciting athletes to ever play the game. The 1972-73 Topps design was as equally captivating and perfectly displayed the loudness and excitement of the period. 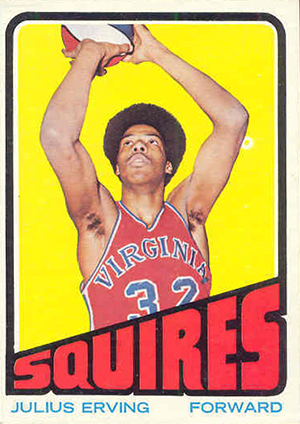 As the "newest" card on the list, Julius Erving's rookie is one of the easiest to track down. Prices for raw cards start at about $50. Pete Maravich is a common benchmark when assessing scoring guards, and for good reason. The only player other than Elgin Baylor without a title, his legacy is furthered by what might have been. Injuries limited him to just ten seasons and an untimely death took him at 40. 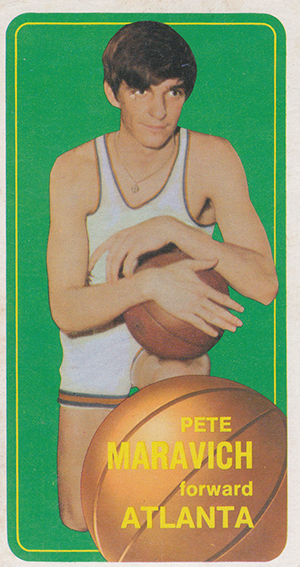 Maravich's tallboy rookie card from 1970-71 Topps has a more generic look than the previous year's design, but collectors continue to show interest in "Pistol Pete." Ungraded copies start around $50. Oscar Robertson could do it all. The versatile guard was one of the best of his time and his rookie shows how the right color combo can take a card from good to amazing. Prices for his raw rookie cards start around $80. 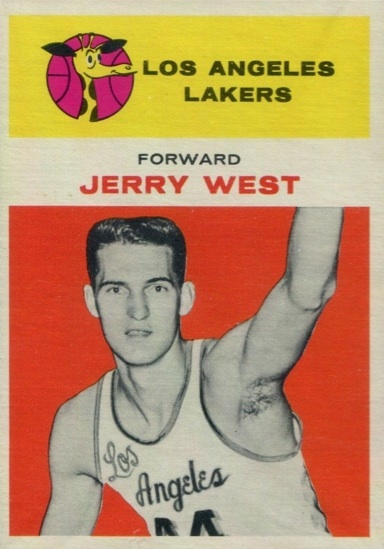 Second only to Bill Russell in 1961 -62 Fleer, Jerry West is certainly no slouch. Before he was known as "The Logo," West was referred to as "Mr. Clutch" based on his penchant for hitting big shots. His rookie card features one of the brighter color pairings and can be found raw starting at around $120. Given the team's dominance, it should not be shocking that a pair of teammates on the Boston Celtics are the top collecting options in 1957-58 Topps. 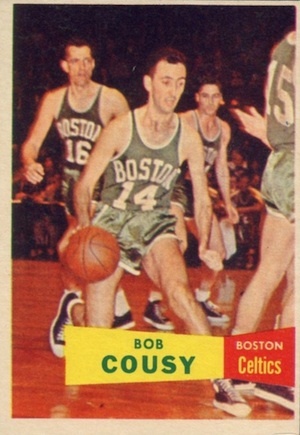 While Bob Cousy's rookie card maintains good value, it is one of many cards in the set that were double printed, keeping values lower. The bight flash and confused looks make it seem like the photographer just ran on the court in the middle of the game and it does seem odd that the only players shown in the image are Celtics. Collectors looking to pick up one of these early cards should expect prices to start in $80-100 range for low grades and raw cards. Big man. Big card. 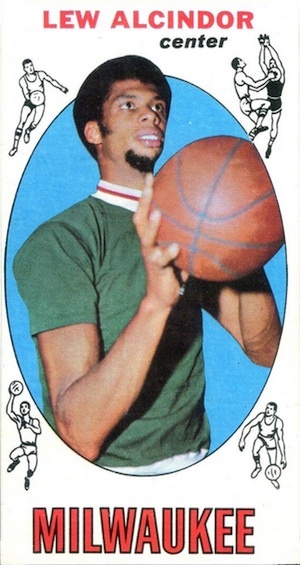 It seems only fitting that the rookie card for Lew Alcindor and Kareem Abdul-Jabbar should be on a tallboy card. The 1969-70 Topps design may not have aged as well as 1961-62 Fleer, but these vintage cards have a special place with collectors. If you are patient, raw grades start around the $50-60 and can go for even less. 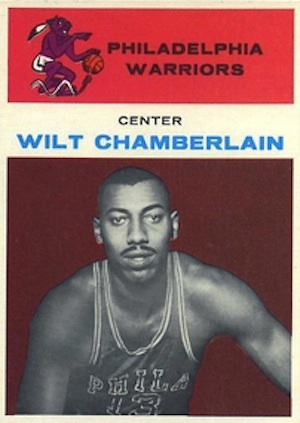 Championships aside, Wilt Chamberlain owned the 1960s in professional basketball and his rookie card, found in 1961-62 Fleer, tops many collecting lists. One tiny thing that could be different is the red-on-red combo. In my opinion, the cards tend to look better with more contrasting colors. 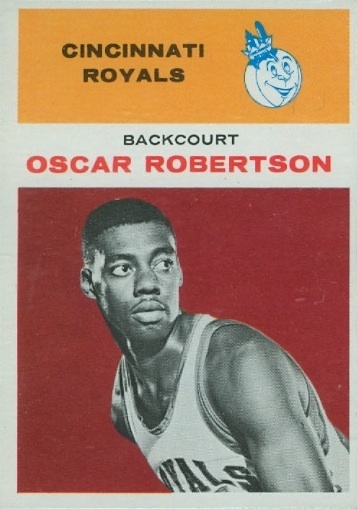 Regardless, this is the card that comes to mind for many collectors when discussing basketball cards from the 1960s. Ungraded cards start north of $200 and go up from there. Bill Russell was nearly an unstoppable force and he is the main reason that most of the other players on this list did not win more championships, claiming 11 for himself. 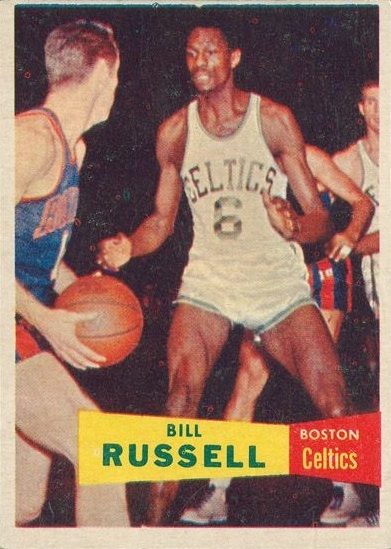 Easily the most sought-after card in 1957-58 Topps, Bill Russell's rookie card values are futher bolstered because it was one of 30 cards from the set that were single printed, as opposed to the 50 cards that were double or quadruple printed. Low grade and ungraded versions start around $600. 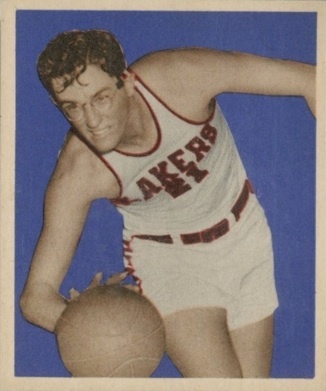 The first dominant player in professional basketball was George Mikan. He was present for the birth of the NBA in 1949, and also played in the NBL and BAA, the predecessors to the current league. Part of the second series release, George Mikan's rookie card in 1948 Bowman checks in at 2-1/16 by 2/1-2 inches and includes a blue/purple background. The only text on the card is found on the back. While this simple card may not seem like much, due to the rarity and significance of the first pro basketball set, low grades for Mikan start around $900 and go up from there. 1972 Topps Basketball #32 Phil Jackson Rookie Knicks PSA 9 Mint 50-50 Perfectly! 1973 Topps Football #77 Art Shell RC Rookie HOF PSA 9 MINT " SHARP "
1969-70 Topps John Havlicek RC #20 SGC 88 NM MT 8 Celtics HOF. Centered Blazer!